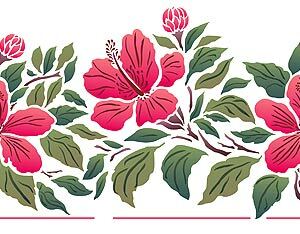 The Large Hibiscus Flower Border Stencil is a lusciously deep border depicting the beautiful summer blooms of the exotic hibiscus and its globe-like buds. 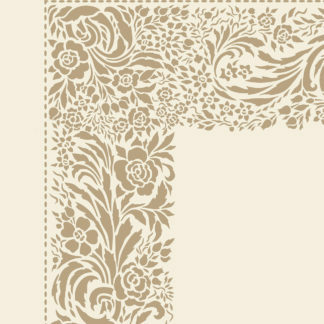 Use this border stencil as a frieze at dado height or picture rail height on walls, or to decorate wooden floors, or to create a deep foral edge to curtain drops. Easy to use stencil two layer stencil with registration dots for repeat and layer alignment. See size and layout specifications below. Above top – close up section of the Hibiscus Flower Border Stencil in Paradise Blue and Cyan Stencil Paint (layer one) and Persian Blue Stencil Paint (layer two). 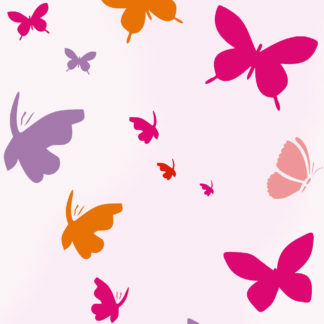 Also see Hibiscus Flower Stencil 1, Hibiscus Flower Stencil 2, as well as the Hibiscus Flower & Dragonfly Stencil. 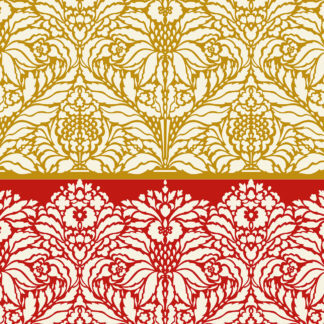 Above – Hibiscus Flower Border Stencil stencilled in Very Berry, Azalea, Hedgerow, Woodland, Emerald Forest and Coffee BeanStencil Paints. 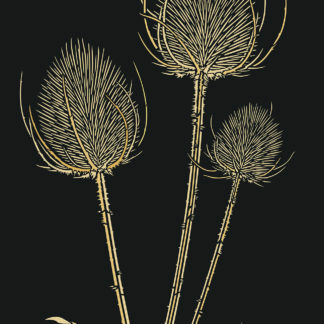 Below – close up section of the border stencil in the same colours. 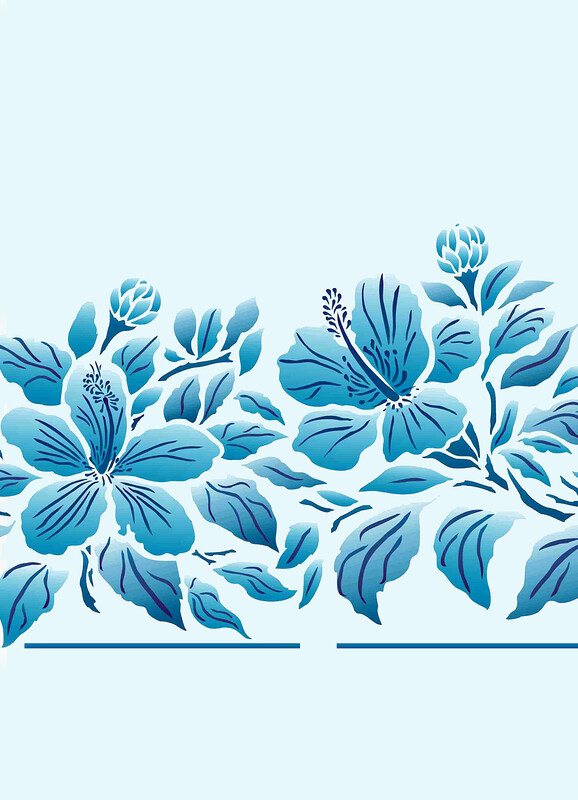 Above – Hibiscus Flower Border Stencil stencilled in Chinoiserie, Cyan, Indian Ocean, and Sea Green Stencil Paints. 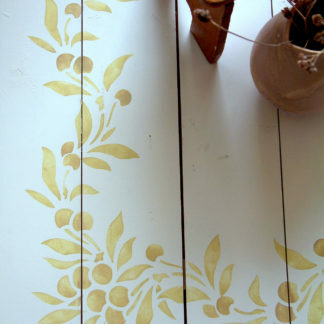 Below in Coffee Bean, Mocha and Agapanthus Stencil Paints. 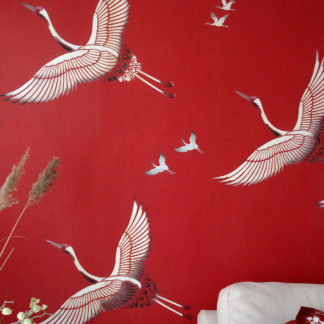 Above – Hibiscus Flower Border stencilled in Very Berry, Flame Red, Azalea and Agapanthus Stencil Paints. The illustrations above show the two repeats of the border included on the sheet supplied. Two layer two sheet stencil with easy to use registration dots. 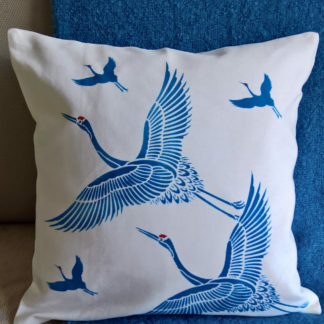 The stencil comes as two repeats of the design, measuring up to 76cm (30″) wide x 26cm (10″) deep. The Hibiscus blooms measure up to 13cm (5″) at widest points. 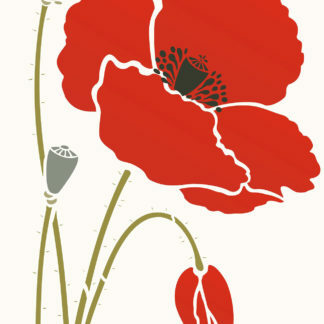 Can be used in conjunction with the other Hibiscus Stencils in this range. 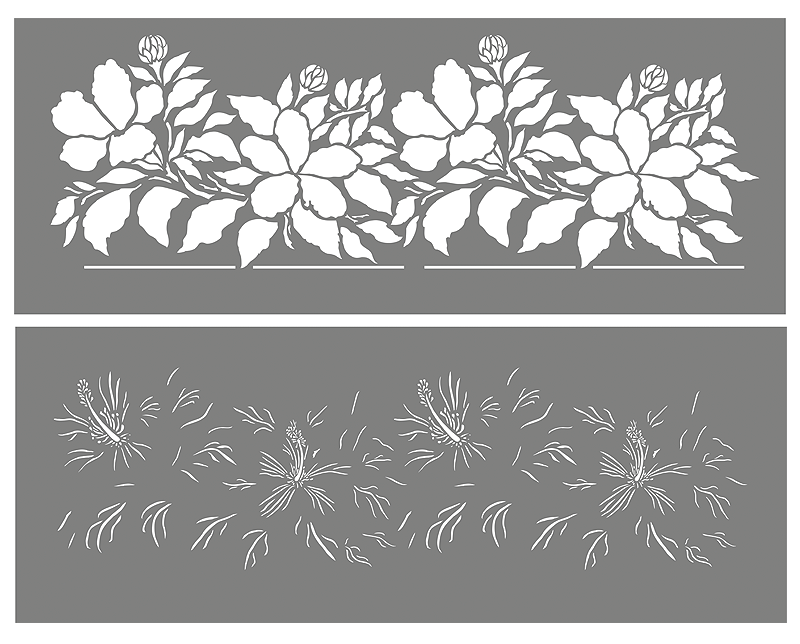 Left – layout of the Hibiscus Flower Border Stencil. Stencil comes on two sheets.